An Xbox-only retail unit and gaming café is to open in Dublin under the name Xbox Live Gaming Centre. It follows the opening of Bartizan Game World, a gaming café in Midleton, Cork. 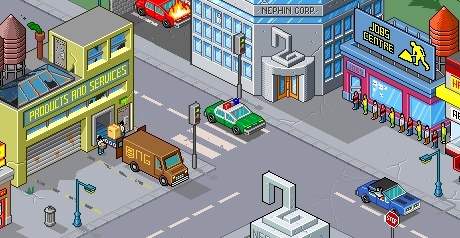 It is owned and to be run by ‘Multiplayer’, with partners Microsoft, Eircom, and Samsung. The gaming café is “strategically partnered and backed” by Irish financiers, according to irishdev.com. The centre is running apparently semi-open testing on Friday, with the official opening on April 5. It was to open in March, we were told recently that there were a “Few delays”, and that they “are looking at 27 Mar now and have organized a press launch”, an email sent early this week has gone unanswered. Their website at Xboxlivegamingcentre.com, is publicly viewable vie xboxlivegamingcentre.com/services.asp. With a mixture of Xbox and Xbox 360 consoles, and a focus on multiplayer, according to the website, the “Centre is a revolutionary concept in multiplayer gaming. A super fast broadband enabled console environment with the best Audio Visual equipment”. The outlet is set to also sell Xbox hardware, at least chart Xbox games, Samsung TVs, Eircom broadband, and all-in-one services - “There are various packages available along with our unique "Multiplayer Home" service where you can have one of our engineers call to your home and install the whole lot - Broadband, Xbox, LCD and Xbox Live a/c”. The retail section fronts the two-story gaming centre. Located at 51 South William Street, between Grafton Street and Dublin Castle, the gaming café is expected to open to midnight on weekdays and after on weekends. It will be open for bookings, including corporate nights, and they “regularly cater for Microsoft and EA game launches”. As part of Microsoft’s long strategy of promoting Xbox Live using celebrities, Nikki Hayes, an RTE radio and TV presenter, recently played at the café with winners of a competition on her radio show and others over Xbox Live. Previously the Dublin-based band the Thrills played over Live, these plans to expand the list of Irish celebrities using the Gaming Centre. CanDo Interactive have developed a promotional Shockwave game for the recently release film Running Scared – it can be played by going to the ‘game’ section at runningscaredthemovie.com. CanDo has previously worked on a game for the film Triple X 2 and helped with an SUV safety promotion run by the US Attorney General’s office. Tony Kelly of Torc Interactive, and the IGDA Ireland is to give a public talk in Dublin City University tomorrow, Tuesday, February 28, 2006. The DCU Game Society hosts the talk ‘the Games Industry’ as part of Red Brick’s Tech Week. It is to take place in the Seminar Room upstairs in the Hub at DCU Glasnevin, Dublin 9. The event is open to the public. Screen shot of Torc’s Dreadnought playable tech demo made for AMD. BT Openzone currently has over 270 public wireless broadband, the deal announced early this week will see this expand to some game outlets, namely Game, GameStop, HMV, Smyths Toys, and “other key outlets across Ireland”. WiFi location currently enabled include Cork Airport, O'Briens cafés, Insomnia cafés, in the Republic, and at BT NI payphones, Belfast City Airport, Belfast's Great Victoria Station, Belfast’s Central Station, PC World outlets, and McDonalds in Northern Ireland, and both north and south at some Maxol filling stations, and a number of hotels and other cafés. The full and up-to-date list can be found here. Nintendo’s DS multiplayer gaming services is not subscriptions based, the only cost to the user is broadband at home, or a cup of coffee as an excuse to stay on the premises. 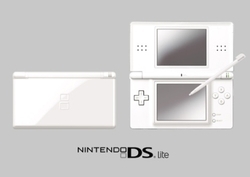 Nintendo also offers a home WiFi adaptor for the DS to insure easer access, it retails for about 40 euro. “Nintendo are bringing a significant, groundbreaking deal to Ireland. Launching our Wi-Fi service in partnership with BT Openzone is a massive statement of our commitment” stated David Yarnton, General Manager, Nintendo UK.